Product information "Weatherproof Station Antenna for GSM / GPRS Modem Module"
The network enabled remote monitoring devices from manufacturer Didactum can be equipped with an optional GPRS / GSM modem. In case of emergency in server room or data center, the IT monitoring unit can send SMS messages and SMS alerts directly via the cellular network of your mobile provider. Customers have limited mobile network reception in server room or data center, can use this outdoor GPRS / GSM station antenna. 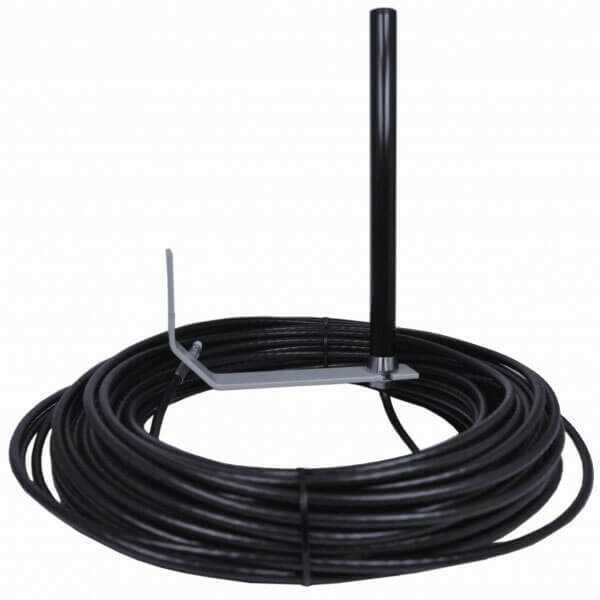 The cable length of this GPRS / GSM outdoor antenna is 30 meters (98 ft). A weatherproof wall bracket, screws and dowels are included. Related links to "Weatherproof Station Antenna for GSM / GPRS Modem Module"
Customer evaluation for "Weatherproof Station Antenna for GSM / GPRS Modem Module"